RENFE takes you to the Hay Festival at high speed (Avant). Renfe again joins this important cultural festival, which fills Segovia with interesting and varied artistic proposals. 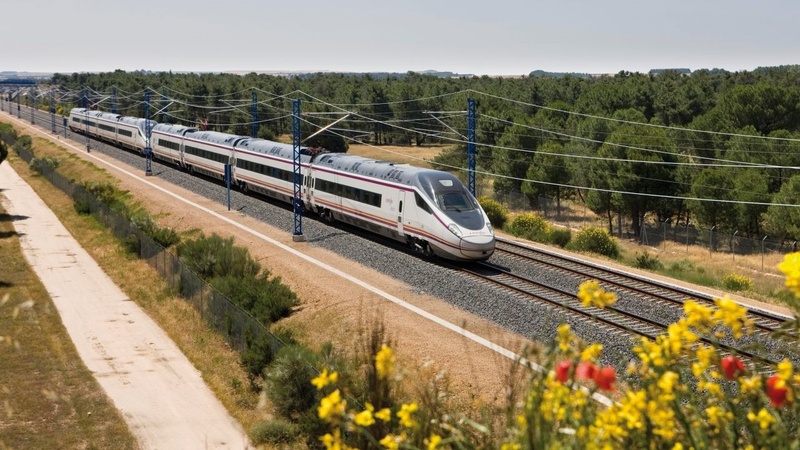 Thanks to the numerous high-speed connections on AVANT trains, traveling to Segovia from Madrid or Valladolid is quick and easy, taking around 30 minutes. Other rail services in the north-west of the peninsula also make it easier to visit Segovia during the festival. Renfe's modern trains have all the amenities needed to make the trip a great travel experience, providing access for people with reduced mobility, including specific seats and adapted toilets. The train is the most comfortable, fast and environmentally sustainable means of transport to travel to Segovia and enjoy the Hay Festival. More information about schedules, prices and connections to travel to Segovia at www.renfe.com, or telephone 912 320 320. Discover more at facebook.com/renfe, Twitter @renfe, Instagram @renfeoficial and at youtube.com/renfe. Among the priority objectives of the José Manuel Lara Foundation are the promotion of books and reading. With this in mind, it has various programs and activities, among which are writers' meetings, literary workshops in libraries and attendance and sponsorship of book fairs, especially the Seville Book Fair. 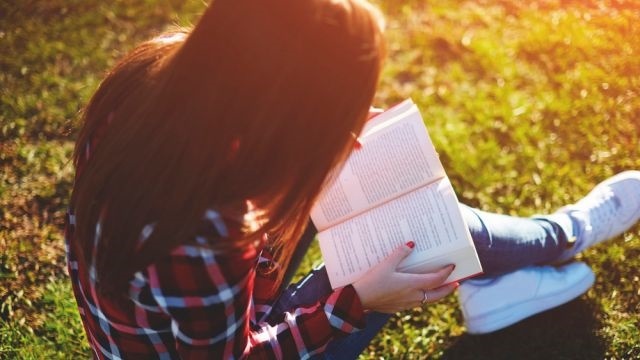 Also, to commemorate International Book Day, every 23 April it donates books to villages in Andalusia municipalities of fewer than 5,000 inhabitants. The Foundation also promotes courses and seminars in Spanish universities to develop knowledge of the Hispanic-American publishing and literary worlds. Education is one of the pillars of the Foundation, through granting scholarships and aid to underprivileged groups. Essential for the José Manuel Lara Foundation is also the edition of Mercurio magazine, aimed at the promotion of books and reading. With ten annual issues and more than 25,000 copies, this free publication is an effort highly valued by readers, writers, editors and critics. Mercurio is distributed in bookstores throughout Spain and public libraries, as well as by subscription. In this spirit, the José Manuel Lara Foundation collaborates with Hay Festival Segovia 2018, sponsoring several events. In addition to Javier Sierra, winner of the Planeta Prize with the novel The invisible fire, there will be conversations with Boris Izaguirre, Clara Usón, Antony Beevor, Olivier Guez, Marwan, AC Grayling, Pedro Baños and Antonio Muñoz Molina, who will present his latest work A lonely walk among the people. Segovia has a long-established wood industry, which is why this year, all Hay Festival events, and particularly the Poetry Whisperers in the city centre, will feature installations to encourage visitors to think about how pallets are used. Other events in the Festival have stages created from pallets. 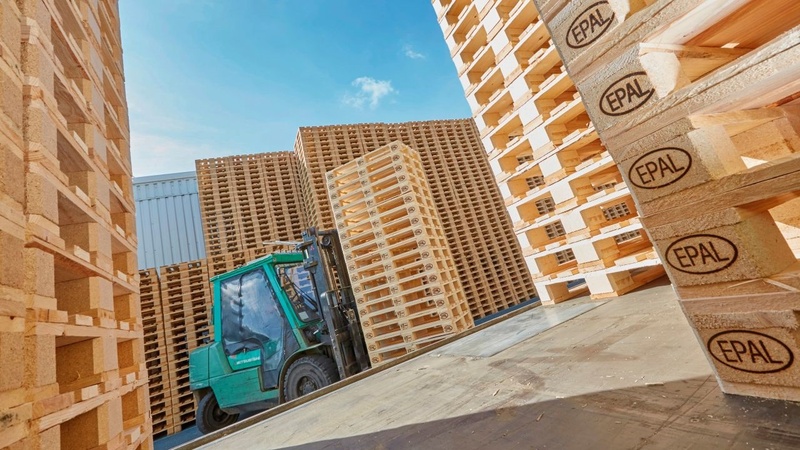 This environmentally aware initiative is sponsored by EPAL, the European Pallet Makers Association to celebrate the organization’s 17th anniversary. EPAL is part of the “Light and Green” initiative by Germany’s GS1, which certifies environmentally friendly companies, a project aimed at raising awareness about sustainability and environmental responsibility. The British Council, a global contributor to the Hay Festival, is offering this year a program focused on the many challenges of coexistence in the United Kingdom and Europe. We will be accompanied by outstanding figures from the world of British literature who will offer a new perspective on the feeling of social belonging, freedom of expression and the necessary gender equality. Acclaimed journalist Afua Hirsch has sparked a passionate debate around the notion of British identity “Britishness” with her latest essay Brit (ish) On Race, Identity and Belonging; a personal and provocative investigation that will not leave the public indifferent. Considered one of the most interesting and prolific dramatists of the scenic scene by The Guardian, Sabrina Mahfouz will present a mestizo creative world between poetry, novel and performance to talk about diversity without cover. The Segovian audience will also meet the nominee of the Man Booker Prize and winner of the Commonwealth Writers Prize, Sarah Hall; teacher in the art of short stories. The British author raised in Colombia, Julianne Pachico will approach coexistence from her Latin American experience. Also the intellectual Antony Beevor will participate to contribute a historical perspective to the theme of this edition. This year, as a novelty, the British Council will offer public programming in Plaza San Martín in order to share the best of literature with participatory activities that will mix music, dance and readings. Also to underline the inauguration of the Spoken Word: audiovisual exhibition the strength of the urban word organized within the framework of the activities of the EUNIC network of European cultural institutes. CELA is a unique talent development programme for a new generation of European writers, translators and literary professionals, offering them innovative strategies in a changing literary environment. They take the stage in a setup never seen before. With the spotlight on these literary artists, both writers and translators, their interaction unfolds right before your eyes. The writer and their best reader, their translator, sit side by side on stage, revealing the joys, and sorrows, of telling the same story differently. This programme takes place two times with three different writer translator duo’s and is hosted by a renowned Spanish author/journalist. CELA is an initiative of De Nieuwe Oost | Wintertuin in cooperation with Escuela de Escritores, Booktailors, Cinepub, Huis deBuren, Passa Porta and Pisa Book Festival. CELA is co-funded by Creative Europe Programme of the European Union. For more information about CELA, visit www.cela-europe.com. 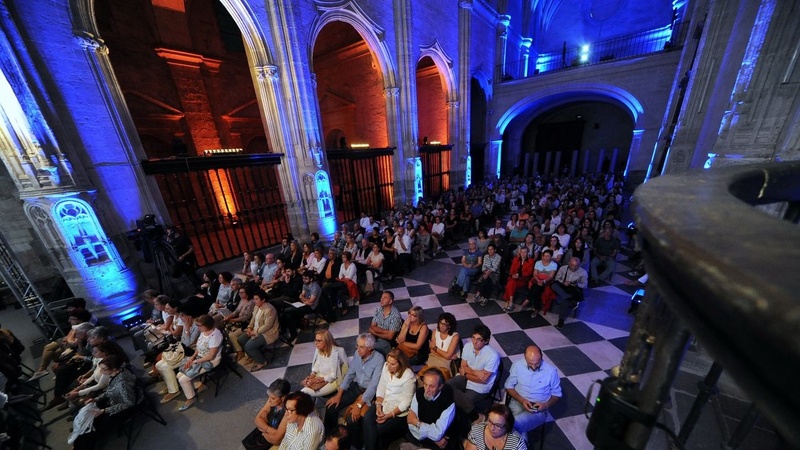 Coexistence in Europe: past, present and future is part of a wide programme of activities and projects specifically designed by the European Cultural Institutes in Spain (EUNIC Spain) for HAY Festival Segovia 2018 and has scheduled a series of exhibitions in Palacio Quintanar gathered under the significant label CASA EUNIC, includes the participation and debate of four European writers and intellectuals brought together thanks to the invaluable help of Wom@rts, involves a series of readings in their native language and in Spanish in Plaza San Martín, and finally the projection of films, documentaries and short films in the old prison. EUNIC Spain, Red de Institutos Culturales Europeos, presents for the first time in Segovia a variety of activities that demonstrate the shared work coming from the members and countries involved. Undoubtedly, this project is a remarkable example of the relentless critical thinking that takes place in Europe concerning the coexistence and cohabitation accepting realities and cultures distinct from the own ones and despite of the enormous range of different historical moments and contexts. Hay Festival is part of this European Union-linked network aiming to appreciate and value the contribution made by women to the field of European diversity and cultural heritage while adressing gender inequality by endorsing the presence of women in the market from an intersectional perspective and promoting a wide range of action in terms of movility, knowledge, tools, educational activities and events.